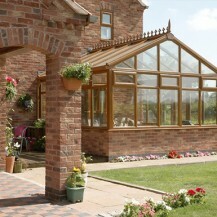 Contemporary gable-end conservatories feature a projection in the same shape as a gable end of a conventional house. 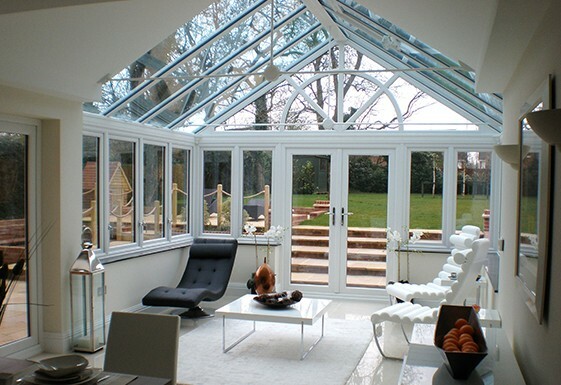 Like a Georgian conservatory, gable conservatories are either square or rectangular in style and gives you maximum space to plan the interior of your extension. 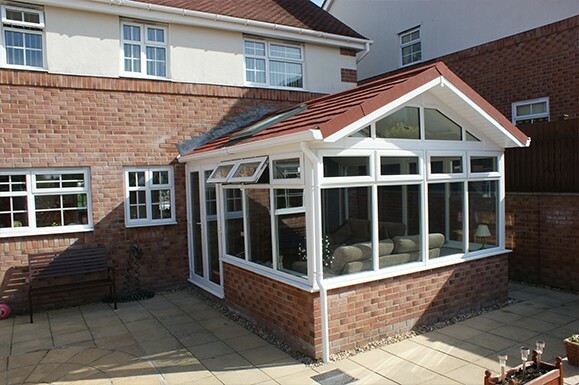 The gable front of the conservatory adds style to your home and also maximises light coming into the room, while the height of the roof creates a feeling of space. 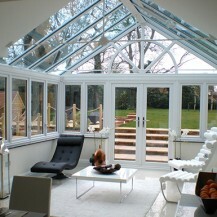 This wonderfully simple style provides a grand impact both inside and out. The gable roof is also available in a range of pitches from 15 degrees to 45 degrees to suit various house roof configurations. 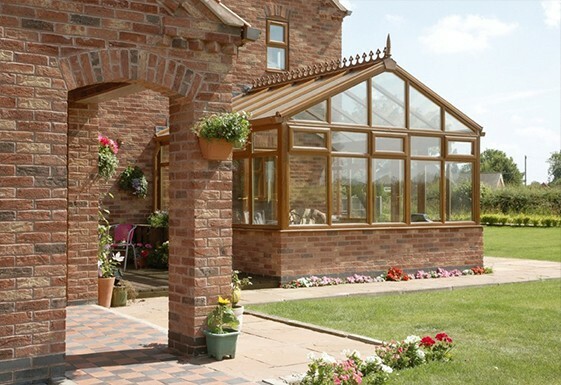 Gable-end conservatories are available in a range of styles and finishes including uPVC, aluminium hardwood materials to compliment the look of your home. 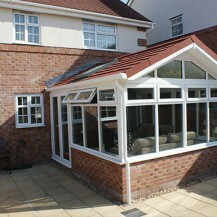 It is also available in a choice of colours and woodgrain finishes.